A collection of works from Canadian artists that celebrate the beauty and wild nature of the mountains we love. 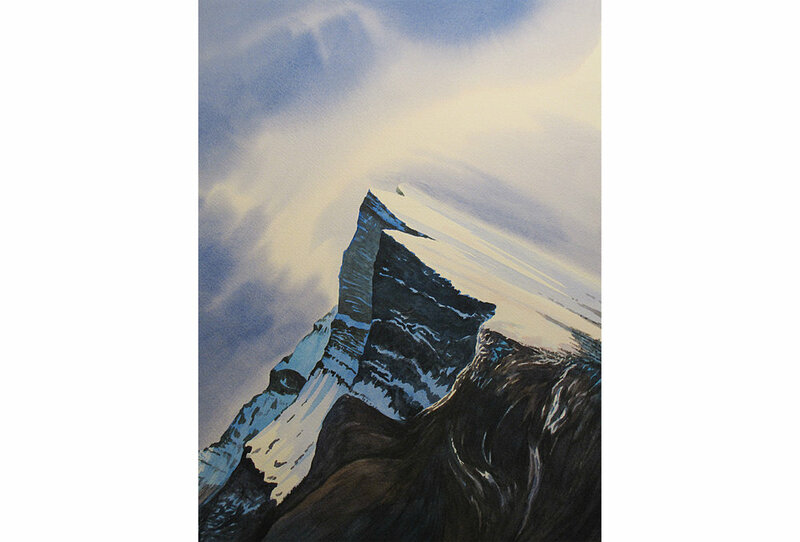 The paintings of Fisher Peak and Mount Gimli are both from Adam’s "Peaks of Interest" portrait series dedicated to presenting some of the most beloved peaks of Canada’s wild west through the eyes of an alpinist. 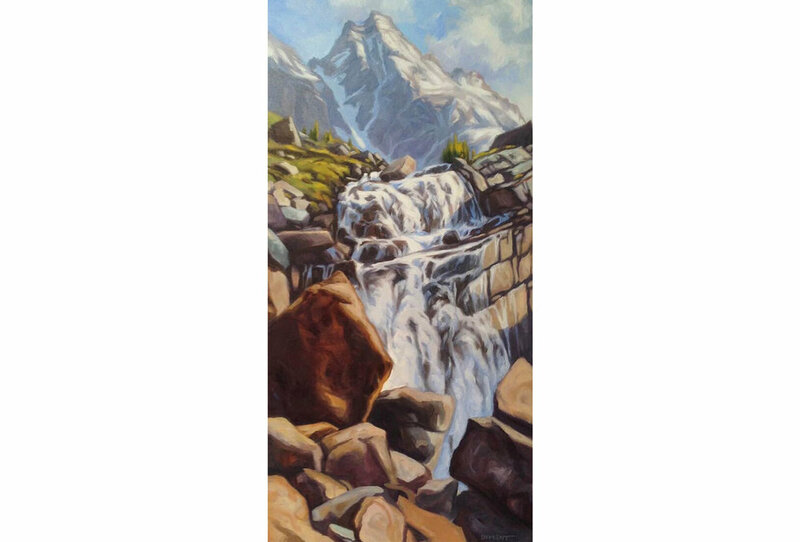 Mount Gimli: Acrylic on wood, 36" x 48"
Fisher Peak: Acrylic on wood, 36" x 48"
This painting of the iconic St Nicholas Peak was inspired by a recent Wapta Traverse trip and amazing childhood memories from stays up at Bow Hut.